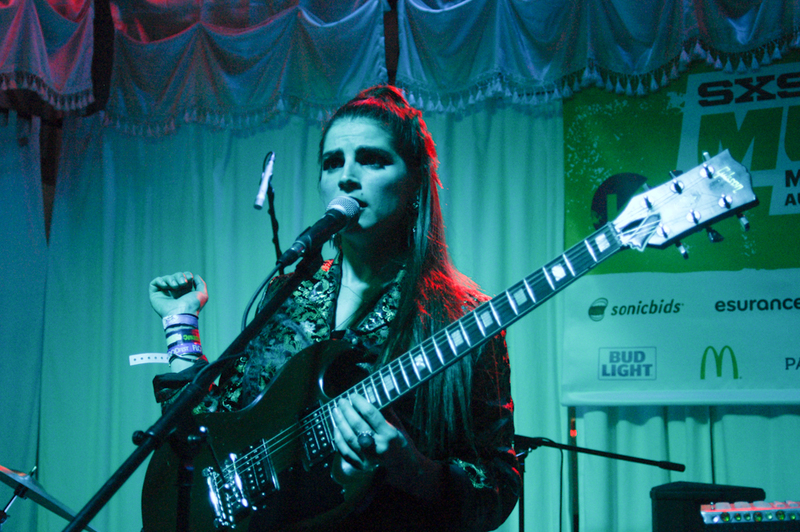 Following the hit-or-miss fair of Wednesday of SXSW’s offerings, night two (Thursday) was an excellent adjustment in alignment with what is normally expected from the festival. How much quality could six hours pack? Read on and find out. If you don’t know who Loretta Lynn is, you might seriously consider halting your read-through of this piece and commit yourself to some abrupt Google research. Seriously. 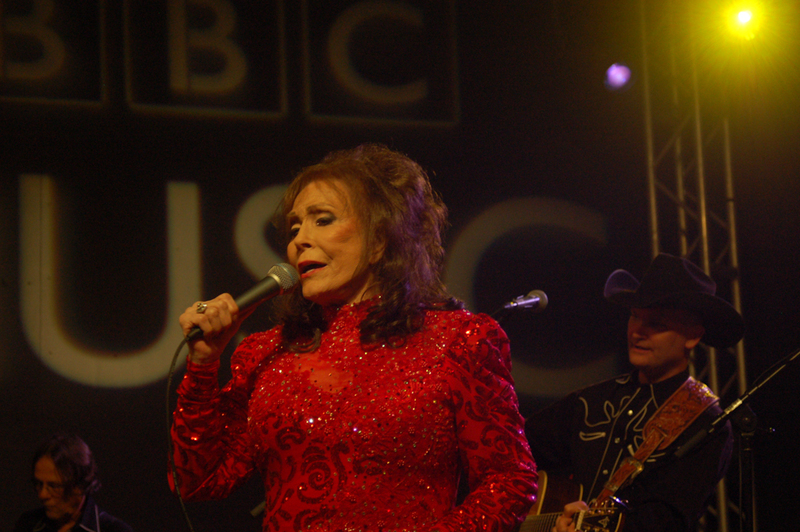 Loretta Lynn is a giant from the world of country music. If she was of the world of classic rock, her stature would be like Jimmy Page, Freddie Mercury and Janis Joplin combined times five. That, and she has never really stopped recording or touring. She is 83 years old, and she carries herself with the grace and control one would expect from an artist literally half her age. 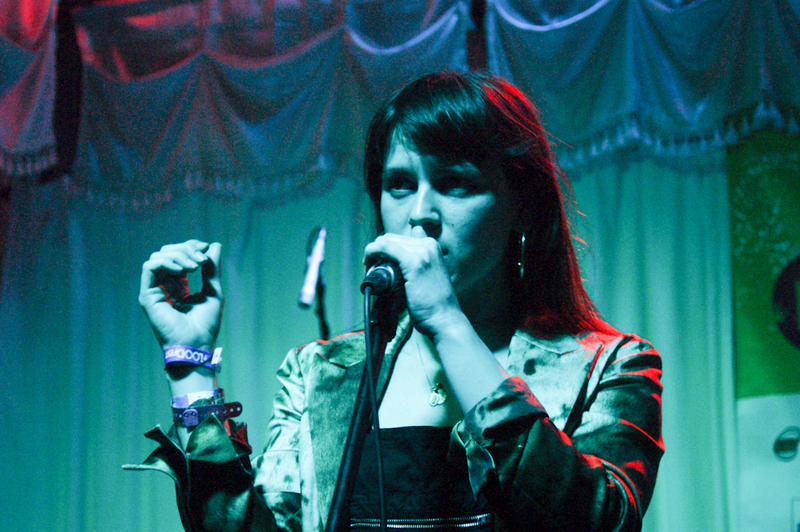 She opened Stubb’s on this night, singing with all cathartic power of an angel come down to Earth. Country might not often be the biggest focus at SXSW, but this was a real treat for anyone with even a passing knowledge of Lynn’s music and talent. 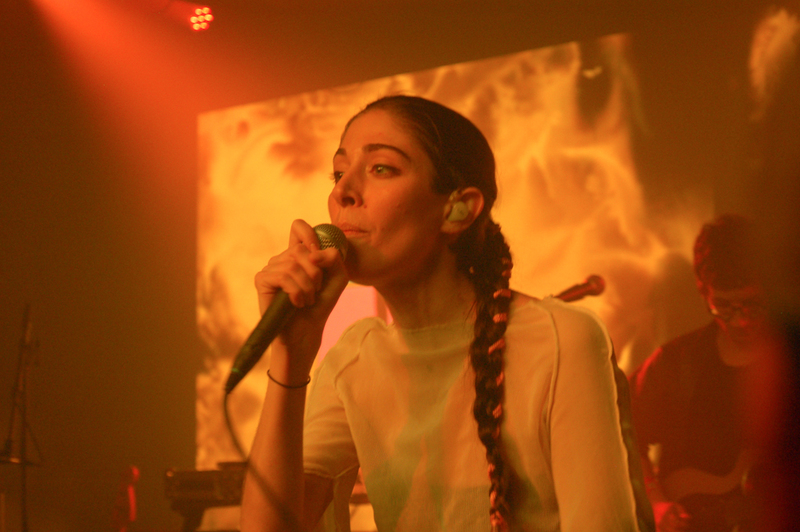 Chairlift has been a slowly rising indie pop star for many years now. 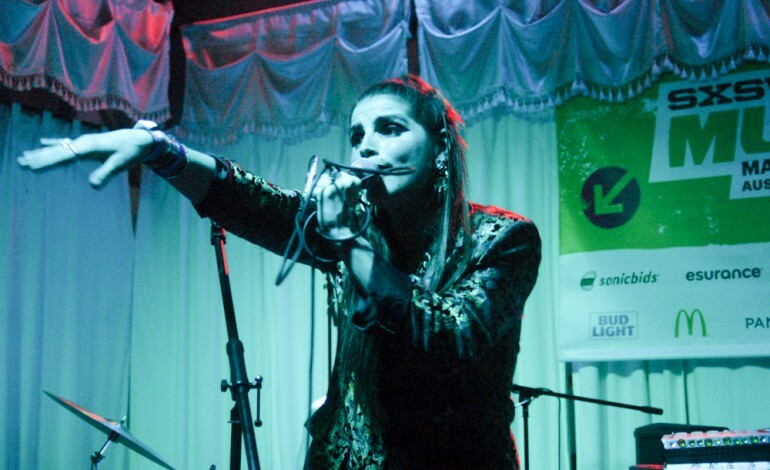 We first covered Chairlift in their earliest form as a three-piece at SXSW 2009. Seven years on, the group has steadily grown in popularity and simplified down to the duo of lead singer Caroline Polachek and multi-instrumentalist Patrick Wimberly. This SXSW they slated themselves for far less shows than in previous years and in more prominent showcases. This outing was at the massive YouTube Music at Copperbank showcase, a giant installation aimed at promoting YouTube’s deep connection with music. Last year this event was headlined by soon-to-be megastar The Weeknd. Here, Polachek danced in simple poses while singing in nimble falsetto. “Romeo” and “Amanaemoesia” in particular were fun and enjoyable. What’s apparent is Polachek worked incredibly hard as a performer to put in the best performance she possibly could for the fans in attendance. 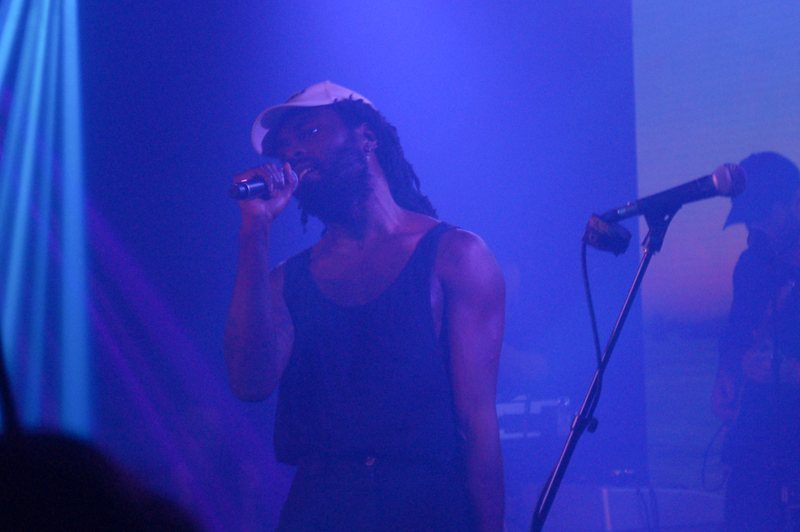 Blood Orange headlined at the same event, and gave a performance worthy of a superstar in the making. Known initially for his original band Lightspeed Champion, Dev Hynes slowly became more focused on his Blood Orange project. His performance featured a full band (bass, drums and saxophone) as well as three backing singers. Mostly, Hynes danced and sang, but occasionally he played guitar as well, impressively articulating complex melodies. While decidedly R&B in form, the best compliment that can be given is in no way does the formulation ring as derivative of other takes on the genre. Some acts doing R&B in modern times, come from the hipster branch of the genre affectionately referred to as PBR&B, while others merely copy the futuristic approach of The Weeknd or the funked-out histrionics of Prince’s early work. This avoided all of those pit traps. Over the course of the set he brought out several guests including Caroline from Chairlift, Kindness and Ronald Paris from Porches. Amidst the bevy of outstanding songs were “On the Line” and “You’re Not Good Enough,” but it was recent single “Sandra’s Smile” that demonstrated some potential for real brilliance. 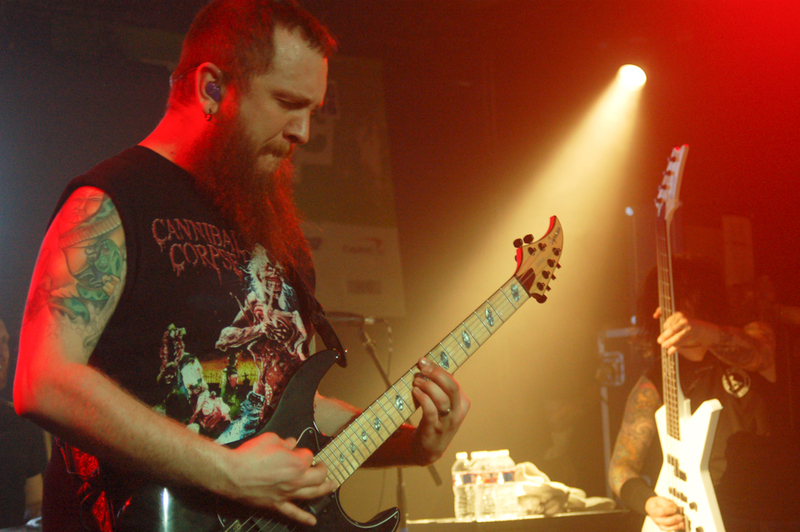 Traditionally, there are numerous stellar heavy metal bands in Austin for the SXSW festival. Each year there’s a batch of truly outstanding acts serving as counter balance to the hordes of indie acts. For whatever reason, this year’s featured far less than any other year. The largest name by far—and one primed to become one of the genre’s strongest rising stars—was Massachusetts’ Killswitch Engage. Supporting their just-released album Incarnate the five-piece headlined an outdoor show at Empire Garage for the Roadrunner Records showcase. No surprise as this show was an explosive, writhing swarm of metal fans. The action near the stage was a fury that would wow even the most diehard of heavy music fan. 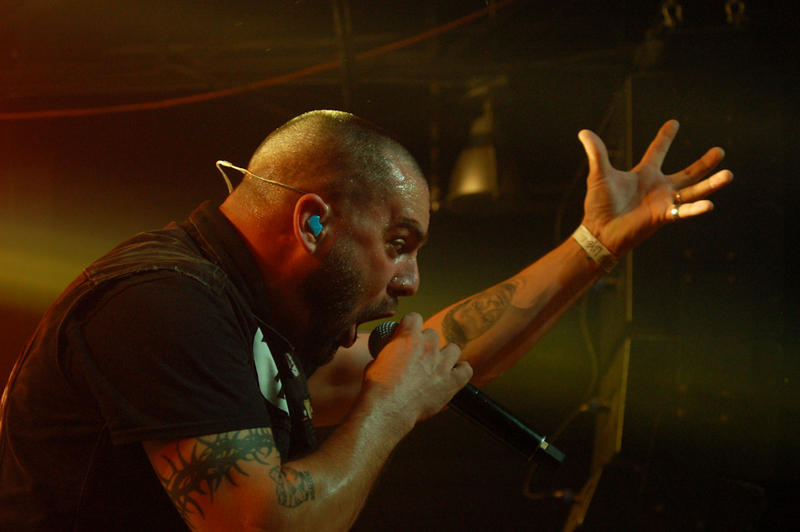 Lead singer Jesse Leach gets bonus points for something he said in between songs midway through the set. “Who here supports gay marriage?” he asked the crowd. A decent portion of the crowd raised their hands. “If you did not raise your hand you need to check your f**king head. Equality for everybody.” Bravo. It’s a sentiment expressed far too seldom on the metal community. And to end off the night, was a band we knew would be outstanding. New York City’s Teen fully lived up to our expectations. Though, that’s not going far on a limb, we’ve been championing them for years, and it’s been a delight to watch them evolve their sound and grow their skill. While on their first album, the palette had more of a garage rock edge to it, they’ve slowly mutated through R&B experimentation and now into something more contained in their own expansive ideas. Featuring more keyboards and electronics, but never really being full-on dance music, it’s an enveloping, enrapturing experience where the harmonies of the four girls create tapestries that powerfully punctuate the frameworks they concoct. We could spend paragraphs and paragraphs going through each successive song, but it’s never been clearer than it is now, this is the band that deserves your attention, time and money. Buy their albums, go to their shows. You won’t be sorry you did.